Routers Switches Access Servers Secuirty IP Telephony Content Optical Networking Wireless MGX BPX IGX Legacy products Accessories. We supply the fiber optic ODF unit that are 19 inch standard frames with modular design, these optical distribution frames are used for fiber optic splicing protection and management. 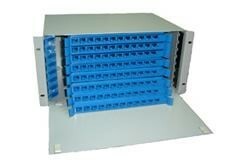 These rack mount optical distribution frames are with built in sliding type distribution modules each of which are with reliable positioning devices. They are flexible to install and easy to operate and maintain. Create a powerful wirless network in your home.Share your Internet connection and link computer,prints, and enterainment devices. We offer single mode and mutlimode SC fiber optic patch cables, SC-LC,SC-ST,SC-FC,SC-MU,SCMT-RJ,SC-E2000,etc types custom design SC fiber optic cable assemblies. SC fiber cable is one of the earliest stype and one of the most commonly used fiber optic cable, Just as its name suggests, SFP plus is an upgraded version of the small form pluggable transceivers. SFP plus target at the application of 10Gbps Ethernet and 8.5Gbps Fibre channel, it is with more compact size and measurement than former X2, Xenpak and XFP, this enable SFP plus suitable for more dense installations. internal Cable Structure and Color Coding Inside the ethernet cable, there are 8 color coded wires. These wires are twisted into 4 pairs of wires, each pair has a common color theme. Originally the word "broadband" had a technical meaning, but became a marketing term for any kind of relatively high-speed computer network or Internet access technology. According to the 802.16-2004 standard, broadband means "having instantaneous bandwidths greater than 1 MHz and supporting data rates greater than about 1.5 Mbit/s." The Federal Communications Commission (FCC) recently re-defined the definition to mean download speeds of at least 25 Mbit/s and upload speeds of at least 3 Mbit/s. Integration: The next step is making thedesign work to integrate and customize the individual compnents of the solution to transform. Just as it name suggests,SFP plus is an upgraded is an version of the small form pluggable transceivers.SFP plus target at the application of 10GB Ethernet and 8.5 GBPS Fiber channel,it is with more compact size and measurement than.